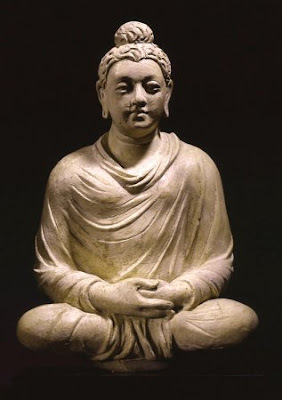 Gautama Buddha or Siddhārtha Gautama Buddha (563 BC- 483BC), an Indian philosopher and the founder of Buddhism, was born in Lumbinī, Nepal. Below are the famous and best collections of Buddha quotes on various subjects ranging from love, gratitude, happiness, health, mind, anger, parenting, self improvement and others that are motivational words of wisdom to inspire you. "There is nothing more dreadful than the habit of doubt. It is the poison that disintegrates friendships and breaks up pleasant relationships. It is a thorn that irritates and hurts. It is a sword that kills." "It is better to conquer yourself than to win a thousand battles,because the victory is yours it cannot be taken from you angels or demons, heaven or hell"
"Always be mindful of the kindness and not the faults of others." "If you light a lamp for someone else it will also brighten your path." Your body is precious. It is our vehicle for awakening. Happiness follows sorrow, sorrow follows happiness, but when one no longer discriminates happiness and sorrow, a good deal and a bad deed, one is able to realize freedom. If a man speaks or acts with a pure thought, happiness follows him, like a shadow that never leaves him. "Life is so very difficult. How can we be anything but kind." "You only lose what you cling to." It is you who must make the effort. Masters only point the way.